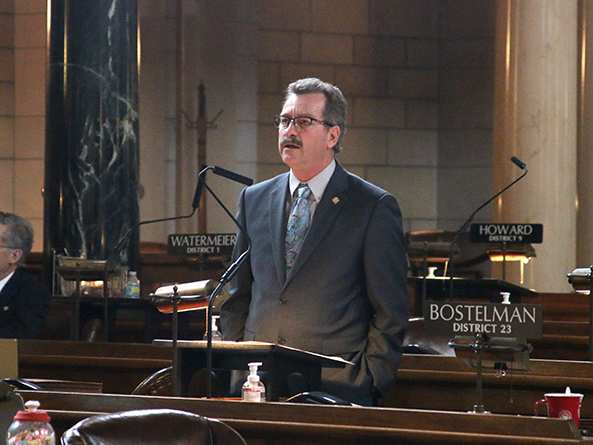 A bill that would help military families become established in Nebraska was advanced from general file March 28. 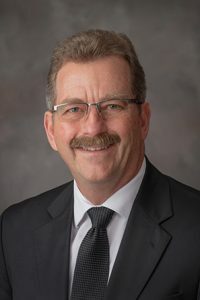 LB639, introduced by Brainard Sen. Bruce Bostelman, would give preference to active duty service members when seeking employment with the state or its governmental subdivisions. Military veterans currently are eligible for such a preference. Bostelman said employment is one of the leading factors that active duty service members and veterans consider when deciding where to live. Approximately 143,000 people currently would benefit if the bill were to pass, he said. Spouses of active duty service members also would be preference eligible during the first 180 days immediately following the service member’s discharge or separation from service. A Business and Labor Committee amendment, adopted 31-0, extended spouse eligibility to the service member’s active duty term as well. Bellevue Sen. Sue Crawford spoke in favor of the bill. She said it is a powerful way to support the military families that live in the state. “This is an important accommodation we can make to help provide an opportunity for employment while their spouse is serving in our state,” she said. Senators advanced the bill to select file on a 33-0 vote.